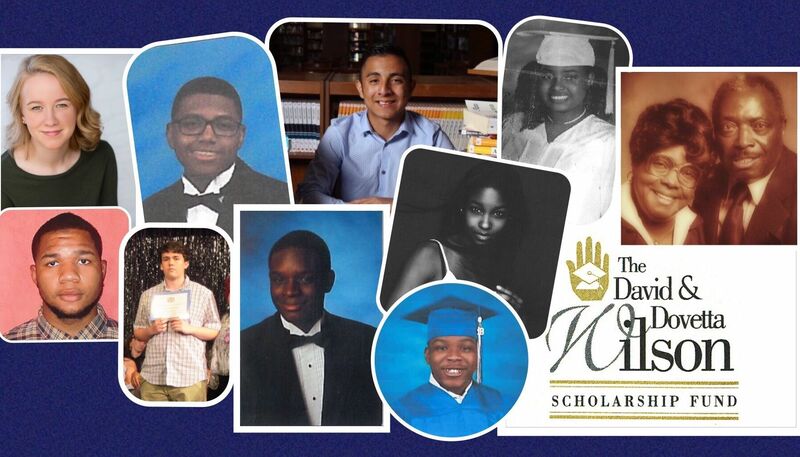 Established in 1990, The David & Dovetta Wilson Scholarship Fund has served over 250 young people and their families and we could not do so without the support of our donors. Celebrate #Giving Tuesday by giving to DDWSF. Your continued support directly benefits scholars nationwide. Your gift, in this season of thanksgiving, will march us forward toward our goal of giving $1,000 to each of the nine 2019 DDWSF award recipients, while also supporting and growing our undergraduate support programming. The David & Dovetta Wilson Scholarship Fund has partnered with Give Lively to securely process your online donation. This transaction will appear on your credit card statement as "The David & Dovetta Wilson Scholarship Fund ". This transaction is subject to Give Lively's Terms and Privacy.